Photo courtesy of James Michael Yeboah. Yeboah says that his show, which debuted in August, creates a space for people to express the feelings they are often afraid to. The show included 12 original paintings, each of faces depicting sorrow, sadness, and fear. “We as Black men don’t get to express that sense of vulnerability at all,” he says. The project started off as an exploration of masculinity in general. Yeboah was already making art that exhibited this idea but he wasn’t yet sure how to communicate his message. Instead, he decided to tighten the show’s focus on Black masculinity and the ways in which it is ill represented. “I came to realize over time that being emotional as far as masculinity goes [within the Black community] is very seldom talked about,” he says. 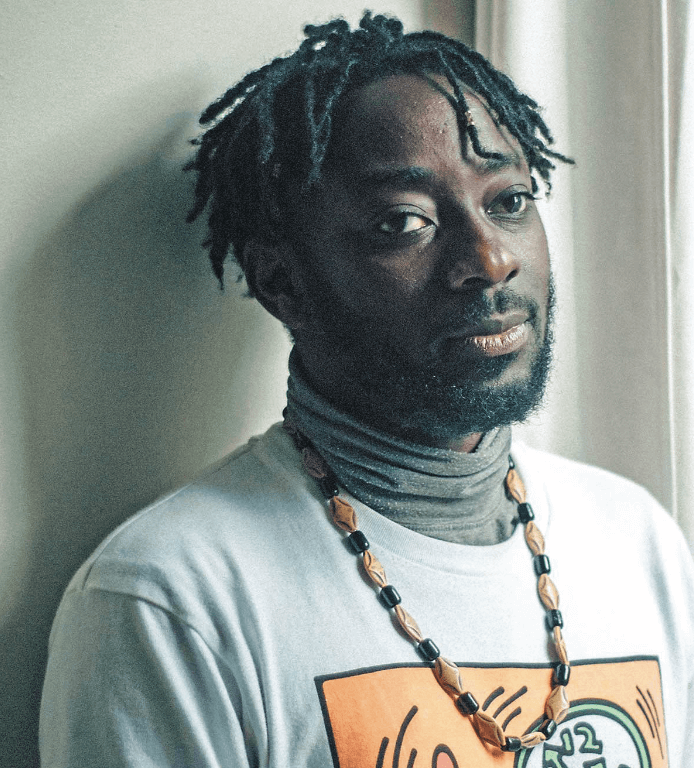 Yeboah began mulling over these ideas in October 2016 but didn’t start seriously pursuing the project until January 2017, after being accepted for a grant from arts initiative CUE. The idea of what constitutes strength is a major concept within the project. “For the most part that doesn’t get expressed from Black men.” He explains that we are taught that not showing emotion is supposed to be exhibiting strength. With the show, he is hoping to turn that on its head. He wants the message that comes out of it to be that exhibiting emotion shows true strength. Being vulnerable is being strong. Yeboah says he hopes that people coming to see the show will leave with a better understanding of their own sense of emotion when it comes to being a Black man. Viewers can then pass these ideas on to their kids. He wants future generations to understand that masculinity is not just one preconceived set of ideals. Are Canada 150 partnerships between mainstream arts organizations and Indigenous artists genuine?